You've probably come to this page because you’re looking for an honest Language Hacking Guide review right? Here’s what we’re going to discuss… Firstly, I’ll go ahead and explain why I write this review, then I point out why I would recommend the Language Hacking Guide. After that I’ll give you some details in regards what makes this program unique. I decided to write a "Language Hacking Guide" review (by Benny Lewis) because I have read the book, and it deeply influenced the way I learn languages. This book is different than most other language learning books. Author claims that is possible to be fluent in a new language in 3 months time. He proves his claim in video where he is speaking fluently in 8 languages. 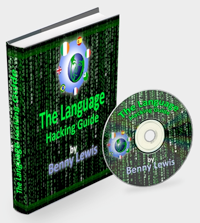 Since January 2012 Benny Lewis has updated his Language Hacking Guide course. 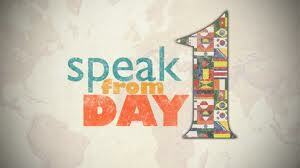 He created video course called "Speak from day 1". At the moment you can buy both the Language Hacking Guide book and "Speak from day 1" video course as a bundle. This update makes this course even better because Benny Lewis demonstrates all of his learning techniques in videos. Now you can watch him and copy what he does to learn any language fast. The Language Hacking Guide can be recommended for a great number of reasons. People who love languages, but have always struggled to learn them, will find in this work a mountain of tips that will finally move them forward. I personally use the knowledge from this book to learn new languages faster and easier. I only regret that I had no chance to read it before I started to learn my first foreign language - English. It would save me a lot of time and frustration. 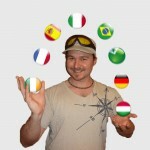 Lewis is an admitted polyglot who has taken on and learned several new languages in only a few months each. The author has a number of interesting tips for his readers, many of which are not traditional and are not covered in most other learning sources. They do work, however, and this is what makes his work unique. Benny Lewis thinks outside the box to come up with a fundamental framework that will provide the reader with the key to fluency. What approach makes Benny Lewis' work unique? The author focuses his work on a natural immersion process. No one learned his/her original tongue through careful study of vocabulary and grammar. Rather, conversational ability should be picked up organically, through speaking and listening. This is how small children learn their first languages, and we should copy them in the method. For those interested particularly in holding conversations with others, this is one attribute the book has that makes it so intriguing. The book is a great motivator, even beyond the specific tips. Lewis emphasizes the importance of having a positive attitude and a willingness to overcome adversity. Learning languages does require a little bit of effort, but a good mental state is absolutely vital, as is the general knowledge that the task set forth is doable. The Language Hacking Guide also makes it clear that people should stop speaking their native languages when moving on to second languages. Those people who attempt to remain with their old languages often find it hard to fully immerse themselves in the new ones. The old acts as a hindrance, preventing forward progress toward fluency. Lewis runs through a list of tips that he has found helpful in his own studies. Many of them are simple but vital, such as avoiding speakers of one's own tongue, and making an effort to put oneself in situations where the prospective tongue can be practiced. In his video course "Speak from day 1" Benny explains and demonstrates the most vital tips and techniques making copy him much easier for average person. The author also extensively discusses free resource sites, that make his book not only a guide "how" to learn a language, but also an excellent source of free learning materials of any chosen language. In this Language Hacking Guide review I recognize that the book is a great aid to learning languages. It will be especially useful to those who want to participate in conversations and speak naturally, and should lead to a new level of fluency. I strongly recommend this book to anyone who wants to use new language in shortest possible time. After 2012 update the "Language Hacking Guide" book and "Speak from day 1" video course together make the perfect learning tool for anyone who dream about speaking foreign languages.